A classic fairy tale gets a fresh twist in this vibrant Caribbean spin on the Little Mermaid! The Little Mermaid longs to know about the world above the ocean. When she’s finally old enough to visit, she falls in love with a prince! A sea witch agrees to give the mermaid a potion that will make her human—but the spell will be broken if the prince doesn’t love her too! 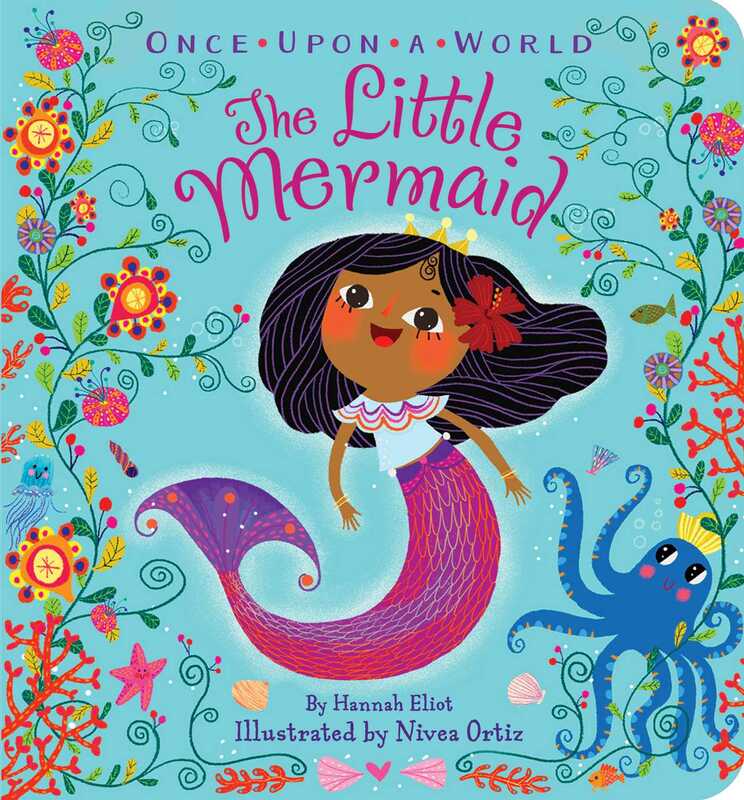 Set in the Caribbean, with beautiful illustrations by Puerto Rican illustrator Nivea Ortiz, this fifth book in the Once Upon a World series is the same beloved fairy tale but it’s totally reimagined. Once Upon a World offers a multicultural take on the fairy tales we all know and love. Because these tales are for everyone, everywhere. Nívea Ortiz is an illustrator from San Juan, Puerto Rico. She loves to draw and paint with a palette as intense as the colors of the Caribbean. A graduate of Pratt Institute in New York, she holds a BFA in illustration. Nívea has a prominent career in the field of children’s illustration, collaborating with renowned publishing companies as well as many diverse clients. Her work has been recognized by the Society of Illustrators and the Publishers Association of the West, amongst others.